Welcome to Clarion West’s Week 5 of their Write-a-thon donation drive. I am your host, Thaddeus Howze, and I am contributing my time and my craft for your enjoyment in the hopes you will donate to Clarion West. We were informed that everyone who is participating in Clarion West’s Write-a-thon has received a donation! This was a very creative week. I managed to put our four chapters of a serial I am enjoying and the ideas came fast and furious. I answered a few questions on the StackExchange as well. Please sit back with a cup of java (or Earl Grey, if that’s your thing and enjoy this weeks contributions. This week’s writing has been brought to you by Buffalo Wing Soda. All of the flavor, none of the meat! What could possibly wash down the smooth and chewy pork-tastic flavor of Soylent Green but the spicy and piquant taste of the flavor extravaganza, Buffalo Wing Soda. Remember, meat is a commodity we can no longer afford, that’s why we’re eating Soylent Green! But you can dream of the meaty flavors of yesteryear by washing down your Soylent Green with Buffalo Wing Soda. Tastes like buffalo wings without all that pesky, stringy meat… Artificial cat meat flavoring added. 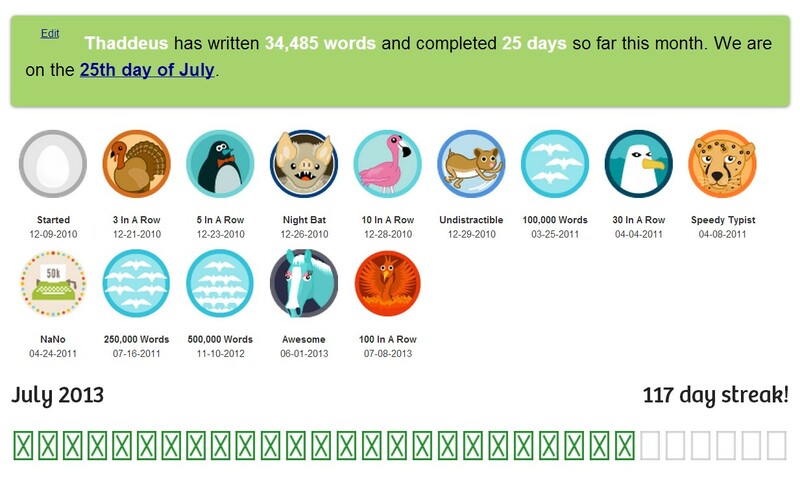 I have continued to write daily and have reached day 117. A friend of mine tried to cheer me up and convince me to keep writing until the end of the year (only 206 more days). I laughed at him and considered him seriously for about ten seconds. The jury got up and left the room. They are still deliberating… Meanwhile, stats for the month include 34,485 words and 6 short stories or essays for the last week. 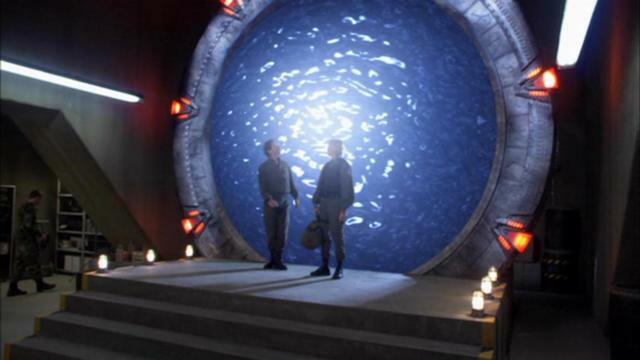 Could radar penetrate the Stargate aperture? – http://scifi.stackexchange.com/a/38519/2765 – One of the reasons I enjoy the Stack are the strange questions people come up with. I had considered this in some detail when I watched the Stargate franchise and the question brought back all of my ideas about why it would or wouldn’t work. I had a great time doing the research and supporting my conclusion with evidence. 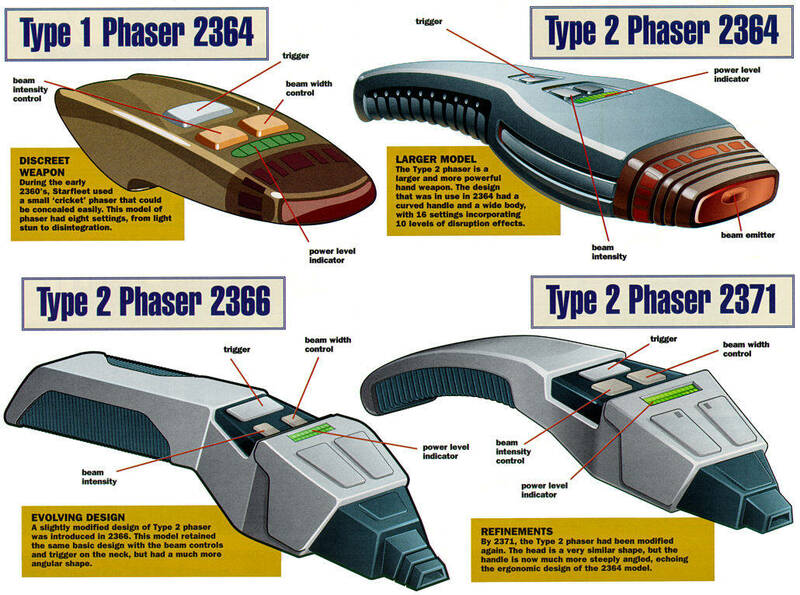 Why is the wide beam phaser setting not used very often? – http://scifi.stackexchange.com/a/38531/2765 – There is a bit more disagreement on this article, which is to be expected when you consider all of the changes which have taken place in the Star Trek franchise. Prime Universe fans rail against the new Abrams-verse Star Trek, and the two camps are bitterly divided over the directs taken, the actors chosen and the quality of the stories told. I just stay out of that and report the facts. This week’s fiction: Yes, I am back! I have a nice four pack of a serial today for your perusal. A Man Who Wasn’t There takes us back to Clifford Engram, Paranormal Investigator’s dark world of magic, myth and mystery. Clifford Engram, cursed operative of the Agency, a paranormal investigative group, is assigned to a case his office calls the Locked Door Strangler. Murders have been taking place across the country all bound together by their unique signature, the women are killed without sign of entry or exit. Engram is forced to return to the first place such murders occurred back in the 1950s, New Orleans. If you are a member of WordPress, you can subscribe and follow Hub City Blues. Please don’t forget to consider donating to Clarion West. This party hasn’t stopped yet. There is one more week of awesome writing coming in for @ClarionWest. Tune in next week for more fiction, more essays and more discussions about the nature of the universe. 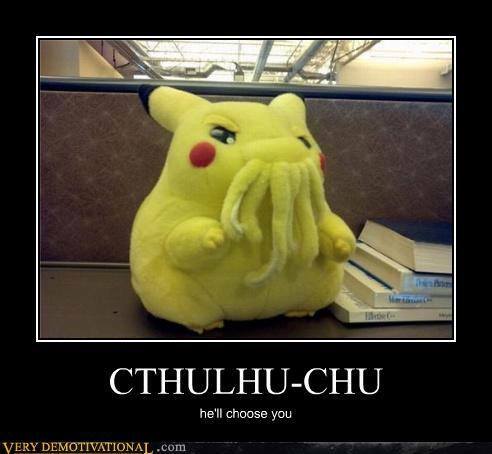 Until then, beware the wrath of Cthulu-Chu, because he may choose YOU!